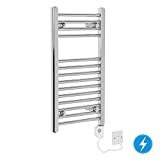 Our quality heaters are available in a wide range of sizes, therefore you have a Our quality heaters are available in a wide range of sizes, therefore you have a variety to choose from that will suit your bathroom. 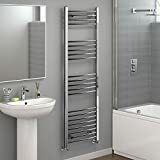 Our Requena straight towel rails have a chrome finish, giving any bathroom a sophisticated feel effortlessly. 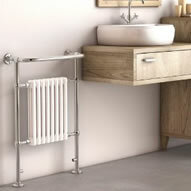 To ensure the best quality, always buy a Requena branded radiator. The box will come with our brand name Requena printed on it when you receive it. Decorating your bathroom is a very rewarding task and one that is getting ever more popular. Once you have completed your bathroom project, whether it is a big remodelling task or a quick redecoration job, there are a few items that can make a lot of difference and have a huge impact and add that final exquisite touch to your bathroom. One of those accessories is a towel rail. 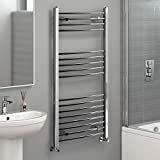 Heated towel rails are an inexpensive way of incorporating style and aesthetics into a bathroom while at the same time being very functional. 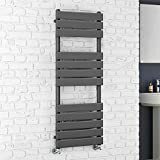 Looking around on the Internet or your local bathroom store, you will be met with a vast range of models at different sizes, colours and heat outputs. This means that there is something out there for you no matter how unique your tastes and requirements are. That is the good news. The bad news is that it can be overwhelming when you are faced with such a wide variety of models to choose from. The important thing is to know what you want and start from there. Decide what you would like and how much you want to spend. Budgeting is very important because it will help you to avoid looking at things you cannot afford, thus saving you lots of time and frustration. It will also keep you inline and not overspend. 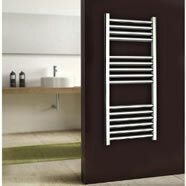 Probably the biggest decision you will make when it comes to heated towel rails is the heat source the product uses. There are three main types available on the market. As you would expect each has its pros and cons. You can get ones that directly connect to your central heating system. 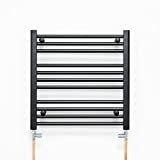 The main drawback with these is that they require the central heating to be turned on in order to work. During the winter months this is not a problem, but when summer comes and the heating is not normally switched on they are no use. 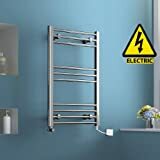 You can also buy electric towel rails that work without the need for the central heating to be put on. All you do is switch them on when you require it and then turn it off when not needed. 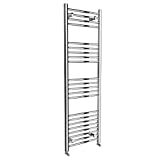 Another option is dual fuel towel rails. These combine the best of both worlds and can work fine when you have central heating and when you don't. 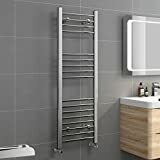 Another key decision to make before going out and buying your dream towel rail is the size of the model you intend to purchase. 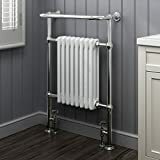 You should decide where you want the towel radiator to go and measure it properly including its height and width and have it with you when looking at prospective towel rails.